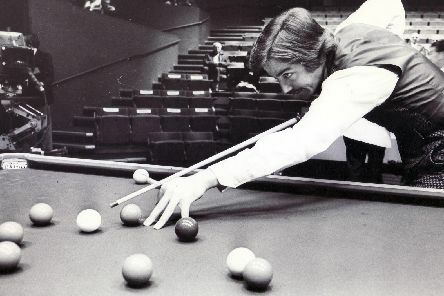 Sheffield will underline its tag as the home of snooker when former greats of the sport battle it out in the build up to this year’s World Championships. They used to down pints of lager and smoke free fags and none of us would bat a watery eyelid. 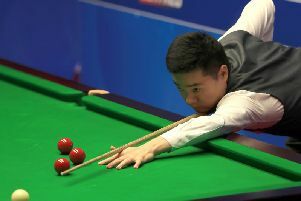 Another Crucible opportunity may have slipped through Ding Junhui’s grasp but the deep-seated belief that he will one day be world champion still resides in the Chinese snooker superstar. 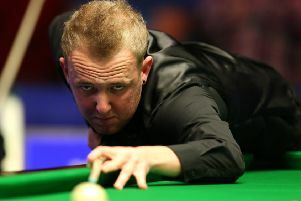 Everything appeared to be opening up perfectly for Ding Junhui at this year’s Betfred World Championship but a scintillating session of snooker from Crucible specialist Barry Hawkins has him on the verge of another frustrating exit. 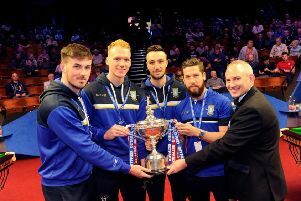 Four Owls players swooped into the Crucible yesterday to soak up some of the special snooker atmosphere with the Betfred World Championship now in full swing. 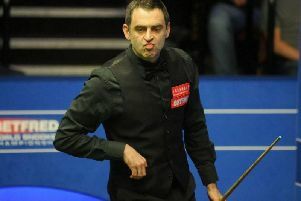 Ronnie O'Sullivan crashed out of the Betfred World Championship after a bitter mid-match spat with Ali Carter at the Crucible. 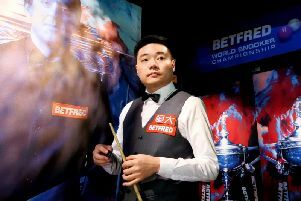 Ding Junhui may have just reached the Betfred World Snooker Championship second round but he is already dreaming of a glamour semi-final with Ronnie O’Sullivan. 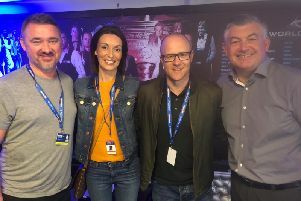 Hers is a story that has captured the hearts of the people of Sheffield - and cancer-fighter Eilish Jennings was given the VIP treatment at the Crucible yesterday, watching the World Snooker Championships with her partner Simon. 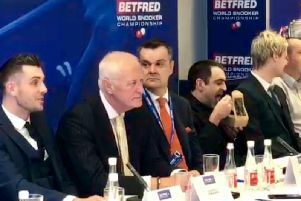 Snooker superstar Ronnie O'Sullivan proved he's got a real appetite for this year's World Snooker Championship - eating through the official press conference at Sheffield's Crucible. 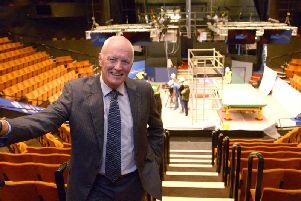 World Snooker chairman Barry Hearn has reaffirmed the sport's long term commitment to Sheffield as 500million people worldwide prepare to tune in for the World Championship at the Crucible from tomorrow. 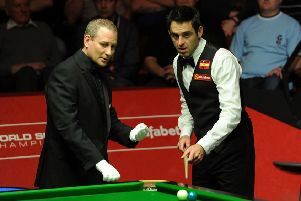 Players Lounge No.1 confirmed their title in the Premiership in fine style with a maximum 5-0 win against Alpine No.1. 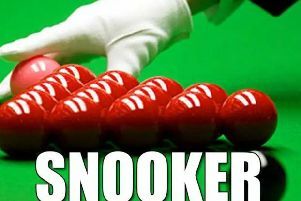 The final of both the Sheffield Snooker Championship and the Marshall Cup have taken place. Both were staged at the Players Lounge who sponsors both events together with Coors. Having previously lost only one match all season Premiership leaders Players Lounge No.1 went down to their second defeat in a row this week, losing 3-2 at Steelers Bar. 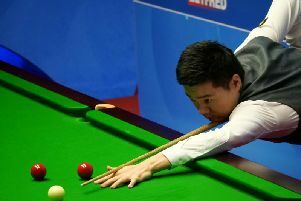 Ding Junhui was left deflated after his Masters curse struck again on Monday in his first-round defeat by the unfancied Ryan Day. 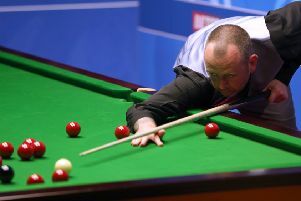 Adam Duffy insists he is in a good place ahead of next week's UK Championships despite watching his Dafabet Northern Ireland Open campaign draw to an end. 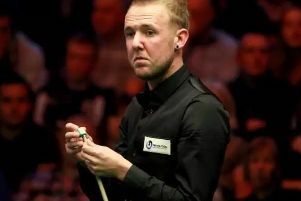 Two missed flights, one immense gridlock and one battling victory – it’s fair to say Adam Duffy will have few stranger days than this Dafabet Northern Ireland Open experience.